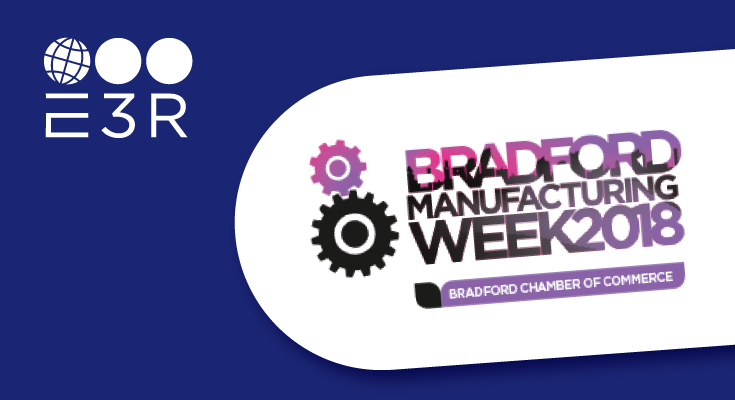 E3 Recruitment (E3R) is proud to be supporting Bradford Manufacturing Week, which showcases Bradford’s manufacturing base and inspire, encourage and educate young people around the opportunities for a rewarding career in manufacturing. Fifty-five manufacturers are set to host more than 1,000 young people aged 14-18 during the week which launches today (8-12th October) by opening their doors and offering them a true taste of UK industry through workplace tours, work experience opportunities and talks. E3R is passionate about closing the skills gap in the manufacturing and engineering sectors it serves, so the agency jumped at the chance to be involved as Bradford is a key area which the agency recruits for with clients such as Christeyns, Morrisons, Gardner Denver and Metalbox to name a few. Over the course of the week E3R will be going into two Bradford Schools and delivering an assembly on the opportunities available in manufacturing and engineering, apprenticeships as an alternative route to university for a career in this industry and CV writing guidance. E3R Consultant Rodger Morley will deliver the assembly as he has first-hand experience, having been a secondary school teacher for 12 years, and in that time he was a Form Tutor and Head of Geography. Andrew Joseph, E3R Director commented: “Being a specialist in manufacturing and engineering recruitment, we know first-hand the importance of ensuring that the next generation who are about to begin their careers are fully aware of the opportunities available to them in the sectors we operate in, This is why E3R is involved in Bradford Manufacturing Week as we operate across the whole of Yorkshire. Bradford Manufacturing Week is part of a wider campaign for E3R to bridge the skills gap, with the agency having links to King James’s High School in Huddersfield where Rodger delivered an assembly to the year 9 students last month; And this week E3R will attend the Careers Convention for the third year running. Also earlier this year, E3R exhibited at Get up to Speed with STEM at Magna in Rotherham which promotes engineering to students.